Venice in its inkiest hours is my favorite time to walk through La Serenissima, and perhaps the only time to peruse St. Mark’s Square. The arcades are lit with a warm glow, reflecting in the basalt pavement and setting the square on fire. Foot traffic is different. It’s not rushed, it’s not crowded. People quietly cross the piazzas to get from here to there. Stragglers are trying to snap a Basilica night shot, while others are hiding behind columns to catch some bars of Brahms or Mozart from the small ensemble orchestras at Quadri and Florians. A St. Mark’s evening is decadent, romantic and slightly heartbreaking, like a fading memory that won’t disappear. Me? Time and time over, I chose to stay. St. Mark’s is an old friend, and so are its cafes. The square comes at a premium, even with knowing a few secrets on how to enjoy an aperitif at the most expensive bars in Italy. And I am willing to pay for the experience if it is unforgettable. Quadri is more than just one of the epic cafes in the square with a live orchestra and front row seats to Basilica San Marco. It is a gastro-cultural experience. In 2011, the Alajmo brothers took over the more than 200-year-old property, with the intent of creating the very best pastry and coffee bar, along with opening up the first floor to an experiment restaurant. If you know the Alajmo brothers you know that they are full immersion- they idealize, create and personally execute every detail from concept, mentality, and dishes to vibe and design down to the glasses in your hand. At the beginning of 2018, the Alajmos brought in expert conservation artists to restore the Grand Caffe Quadri, original hub to writers and artists of the Grand Tour, and asked their friend and constant collaborator Philippe Starck to come back to the Michelin-starred Ristorante Quadri for a design upgrade. This grand cafè opened in 1775 on St. Mark’s Square and over the years gained a list of regulars than included Lord Byron, Alexandre Dumas and Marcel Proust. But the romantic veneer of the square diminished amid the relentless commercialism that swept over venice at the end of the 20th century (along with pigeon photographers and gondolier hats), and Quadri was no longer the place to be seen. 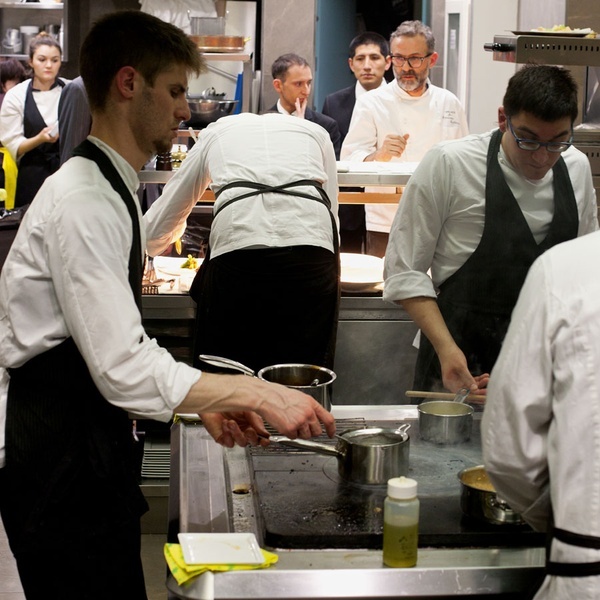 Then, in 2011, chef Massimiliano Alajmo and his brother Raffaele arrived, a duo with three Michelin starts at Le Calandre in Padua, and it wasn’t long before Quadri earnt one of its own. The Max and Raf menus highlight each of the brothers’ personalties; Max is the innovative one, Raf the more traditional. 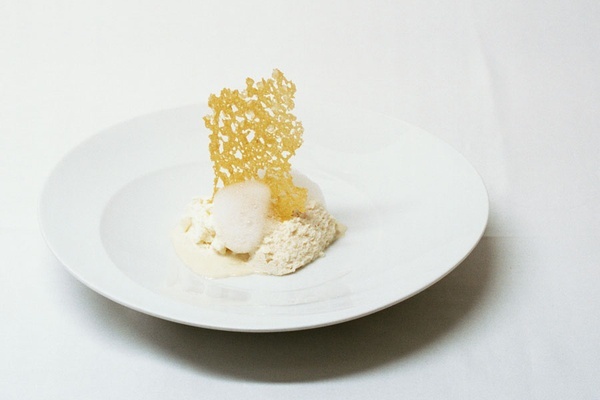 But the tasting menu- 16 courses for two- is a combination of oth, with dishes such as cappuccino di laguna, a mix of lagoon seafood and moeche, a soft-shell crab only found in the Venetian islands served with green fronds of samphire-like agretti. Peep the Alajmo brothers’ portraits in the brocade. Photo credit: Quadri. Quattro Atti. Photo credit: Quadri. Have I eaten at Quadri? 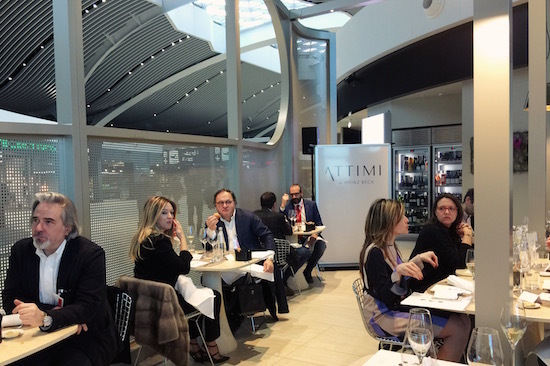 Twice over the past two years at Ristorante Quadri and both times (a lunch and a dinner), I have not only relished the view, but loved the dishes. Massimiliano is a genius, fact. He is clever, he is instinctive, he is innovative. 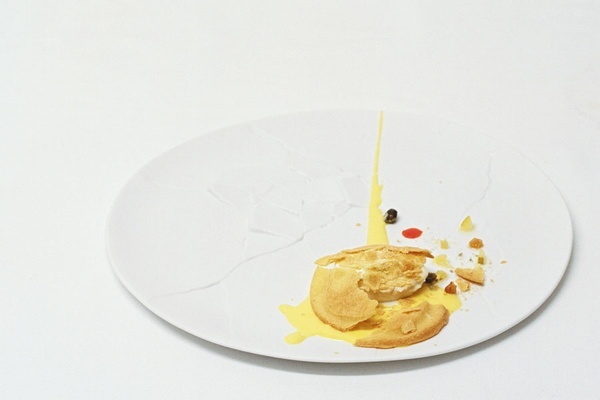 His dishes are heart-warming, reminiscent of past lives and history. And most of all they are unexpected. But let’s be serious- I love Quadri for its location, especially the window seat in the evening where I have the glowing piazza below me. Mornings, I am at Grand Caffe Quadrino as much as I can. I frame myself below the beautifully restored walls and mirror next to the elderly German man who sits in the corner every morning. On a brisk and clear morning, I will sit outside, but usually before the orchestra starts so that I can read. Tip: For the experience with less of a price tag, you can also get stand up service at the bar. Me enjoying Quadrino, the ground floor Grande Caffe Quadri. Everyone knows that I love Milan, even if sometimes I keep it on the down low. Well, I've teamed up with AFAR for a guide to the city that sometimes never sleeps but not on weekends.... Take a peek to my guide to Milan for AFAR.....! Milan is Italy’s quiet triple threat—capital of fashion, finance, and design. Begin at the heart of the city in the Piazza del Duomo; the rest radiates outward in a mosaic of neighborhoods where history, art, and fashion overlap. Walk around the tony Brera neighborhood and peruse the shops of the Fashion Quadrilateral, literally a rhomboid dedicated to the world’s best designers. Head to Navigli for a cocktail when the sun is about to set. Wander the Isola neighborhood for homegrown designers and unique boutiques. By night, Milan’s marble and modern architecture is incandescent, so between aperitivi, make sure to stop and take it all in. Getting in and out of St. Moritz is perhaps the most charming part of your trip and should only be done by train. The Bernina Express is the 74.5-mile railway line that links Italy and Switzerland on a windy, single track, traversing rivers, tunnels and peaks of the Alps. The panoramic train, together with Albula Railway (Chur to St. Moritz), is the highest mountain railway in the Alps and is a UNESCO World Heritage Site. If you’re flying into Zurich, take a train to Chur and hop on the Albula. Upon arrival, drop your bags at Kempinski Grand Hotel des Bains, which reopens for the summer season on June 20. Keep in mind, the Kempinski will be your home base over the next two days. The always-smiling staff members seem to know anything and everything you are thinking of doing without any prompting. Next, head up to town for a quick morning bite. Hanselmann is probably your best introduction to the city. This delicious pastry shop and coffee house holds court in St. Moritz’s main square. You’ll want to try the nusstorte (nut cake), hot chocolate and pretzels. Afterward, walk off the treats by exploring the entire town on foot — it doesn’t take too long. Traditional Engadin houses, with their sgraffiti design (curlicue etchings) and art nouveau architecture, alternate with high-end boutiques (Hermès, Cartier and Brunello Cucinelli, to name a few). 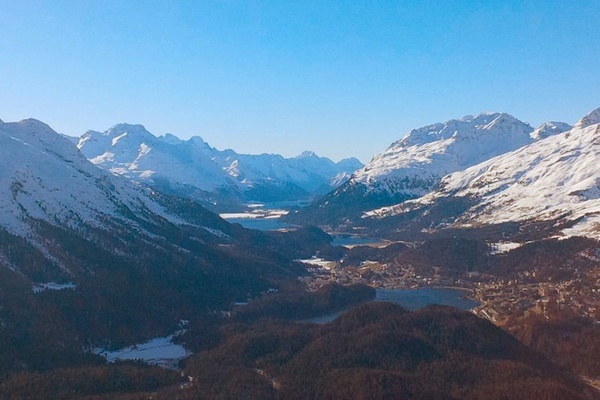 Make sure to stroll over to the Lake St. Moritz lookout, where you can watch kite surfers skim across the glistening lake (though it’s usually frozen December to May) or just enjoy the sun setting behind the mountains. For dinner, you have a couple options, as the town is known as a hub for high-end restaurants as well as tiny food nuggets. Located just across the street from the Kempinski is La Baracca, a laid-back food shack that’s an institution (it reopens for the season on July 25). Expect fancy-free fare such as polenta, carpaccio and salads. And the crowd is a mix, from ski divas and instructors to late-night top-chef partiers. A second favorite is Pichalain, at Nira Alpina on Corvatsch. Another après-ski hut, Pichalain is a cozy and rustic fondue eatery that doesn’t take reservations and is overwhelmingly charming. Skiing is the main winter attraction, but if you’re not ready to tackle peaks such as Corviglia and Corvatsch, help is available. St. Moritz has two great places to learn: Suvretta Snowsports School, you’ll see the instructors in their royal blue gear, and Switzerland’s oldest, Ski School St. Moritz, where teachers are clad in red jackets. In the summer, low-mountain hiking and/or snowshoeing is the way to go. We snowshoed the Muottas Muragl trail with Christina Salis, a veteran low-mountain guide who knows every inch of the Engadin. Lunch is best done from the top. And there is no better place to dine than at Corviglia, where chef Reto Mathis is king of the hill. Reto has a peak empire of six restaurants, cafés and food shops, all at 8,156 feet above sea level. His best-known spots are La Marmite, De Fät Moonk and La Terrazza — the latter is unparalleled in people-watching, whether on the slopes or off, as it sits outside in the snow. You are given wooly coverlets and sunhats, while served Mathis’ delicious creations made from regional produce and meats. Unfortunately, these mountaintop eateries are only open during the ski season. If you happen to be in St. Moritz in the summer, we suggest trying Piz Nair, where you’ll score postcard-worthy views and classically simple fare, such as veal sausage with roasted potatoes and deer carpaccio (it opens for the summer on June 21). In the afternoon, make your way to the Segantini Museum, which reopens on May 20. It’s a celebration of turn-of-the-century painter Giovanni Segantini. The last five years of his life, Segantini lived and worked in the Engadin, creating epic monumental paintings of summer and winter landscapes. If you hiked Muottas Muragl, you likely saw his point of view. After your museum visit, take advantage of Kempinski The Spa for its array of treatments and amenities such as the large sunlit indoor swimming pool, women-only area (with chromotherapy), saunas and gym. Make a day of it and hibernate in the hotel, and have dinner at Restaurant Cà d’Oro. Of all of St. Moritz’s top eateries, Cà d’Oro is the most clever and fun. Hailing from Germany, chef Matthias Schmidberger leads an incredible team in creating and curating an unforgettable gastronomical experience. His menu is anything but run-of-the-mill Italian. On it, you’ll discover magical flairs of fish, meats and foams; a rich cookery background; an obsession with finding the very best in food; and the chef’s penchant for heavy metal. The maître d’ and the rest of the staff are on point with both style and knowledge. And a sommelier places local beers with caviar to start the evening. Cà d’Oro is yet another place that you’ll have to hit during the winter, as it’s closed for the summer. 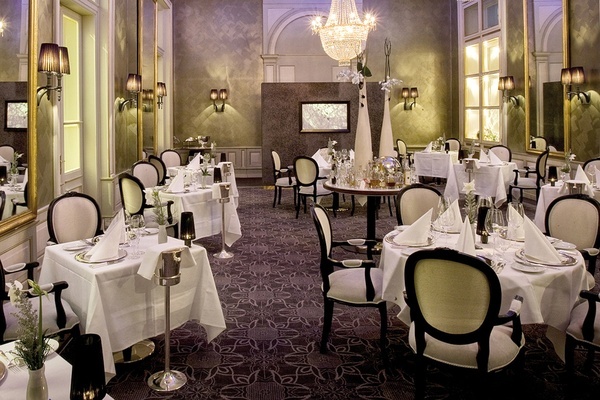 If you aren’t tired after dinner, Badrutt’s King’s Club is the winter nightspot in St. Moritz. But if those outdoor activities drained you, opt for a quieter evening and get tickets for Cinema Scala, a 1930s movie theater. It’s a relaxing way to wind down your luxurious Swiss stay.